Some say, “Only Paris is worthy of Rome; only Rome is worthy of Paris.” At Monograms, we don’t agree entirely, because we think London is worthy of both! That’s why we’ve put together a vacation package with all three-Rome, Paris, and London. In fact, on this travel package, we’ve arranged your hotel reservations in all three cities, daily breakfast, sightseeing, transportation between cities, and transfers from/to your hotel to/from the train stations. Plus, a one-of-a-kind feature is the Monograms Local Host®, someone who is on hand throughout your stay to answer questions, arrange your activities, offer suggestions, and help maximize your vacation time. We’ve arranged for you to have a Local Host in Rome, Paris, and London. 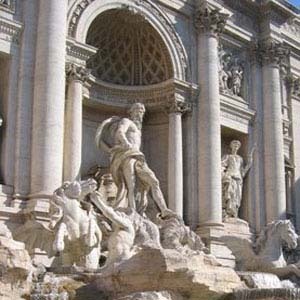 Your vacation package begins the moment you arrive in Rome, where we can pick you up at the airport and seamlessly whisk you to your selected hotel. Here, your Local Host will greet you with a warm welcome, help you get settled, and present you with a set of materials to familiarize you with the city. In fact, in each city-Rome, Paris, & London-your Local Host will meet you on your first day, help you get settled, and give you a Destination Guide full of useful information on the city. In each city, we’ve also arranged sightseeing with a local expert. Hear the inside stores about the must-see attractions and learn little-known secrets as you see each city’s famous landmarks.